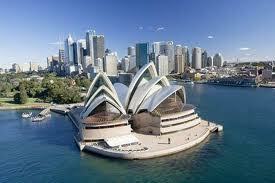 Are you excited about your move to Sydney? Well with Interstate Removals you have found a reliable Sydney Removalists. First, one of the most important issues is finding the best removalists that would handle all your relocation well is to check the below points and see how they rate. Check how long the Sydney removalists company has been in this kind of business, providing relocation services. Ask around for referrals of satisfied customers who had availed their removal packages. Verify if they provide expert consultants or team managers who will assist you in making your entire moving plan. They should give you an overview of all the possible expenses of their removal packages as well as give you alternatives which you can choose for your convenience and budget. Know if your chosen Sydney removalists will be the sole provider of all your relocation needs or if there is a third party that works with them who will attend to your particular moving plan form the start to your final destination. Make a checklist of the other additional services that your removalists candidate has to offer like: finding a place to rent or home, schools, lists of possible organizations that could assist you in adapting to a new environment with different cultures. Do they have online accessibility to answer all your queries? Don’t hesitate to ask all your concerns. Assess their overall customer service support team. They should provide you a reliable quality control guideline as your reference for all your moving activities. It really takes a fair chance of finding the ideal Sydney removalists company if you are completely informed and guided through the entire process and what to expect from these removalists providers. Remember, that in the end it should be you who will benefit most and will ensure you of a safer and risk free transportation of all your precious belongings.